Ever wanted to know what it would feel like if you could have Roland’s turret and Gaige’s Deathtrap abilities at the same time? 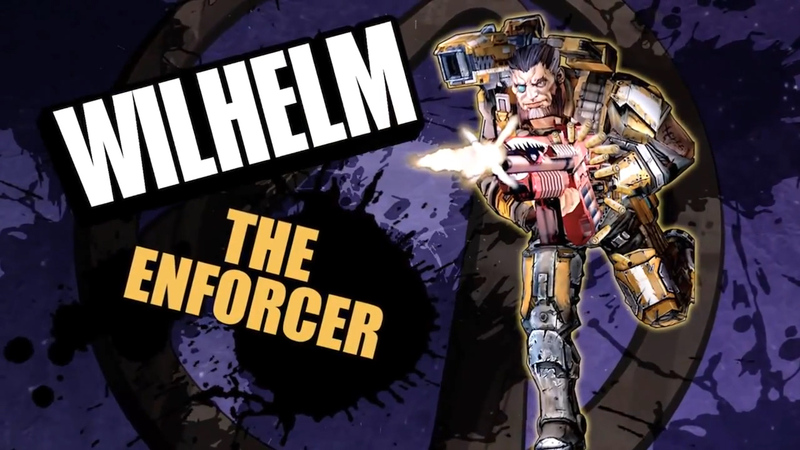 If so, meet Wolf and Saint who happen to be Wilhelm The Enforcer’s new action skill in Borderlands: The Pre-Sequel! When activated, Wilhelm sends both Surveyor bots out into the fray. However, they’re both very different from one another as Saint, the more defensive Surveyor bot, will stay by your side to constantly heal you and comes equip with that pesky shield that Surveyor bots deploy in Borderlands 2. Wolf, the other Surveyor bot that Wilhelm deploys alongside Saint, is much more aggressive. 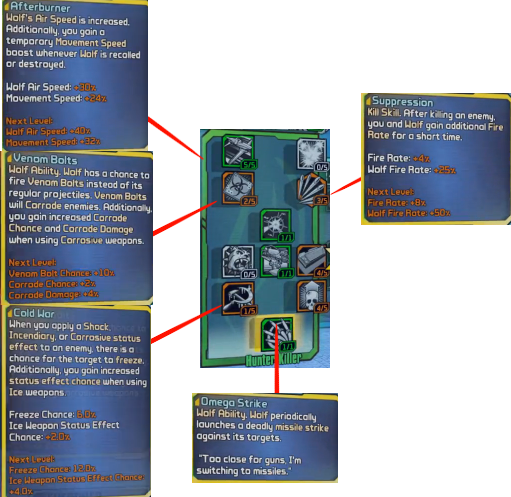 In fact, Wolf will actually seek out targets and engage them on its own much like Gaige’s action skill, Deathtrap. Unfortunately, the new video from IGN doesn’t go over all of his skills in the Hunter Killer skill tree, but we do know his middle skill tree is called Cyber Commando. This is likely where Wilhelm probably gets augmented with more robotic parts the further you go down that tree. Borderlands: The Pre-Sequel arrives this Fall for the PC, PlayStation 3 and Xbox 360.